The Cowboys-Seahawks clash inspired a runaway victory in the TV Twitter sports competition last week giving Fox another reason to be happy with the popularity of its sports programming. The Cowboys were roughed up in the first part of the game, with Dallas QB Tony Romo taking a shot to the ribs. 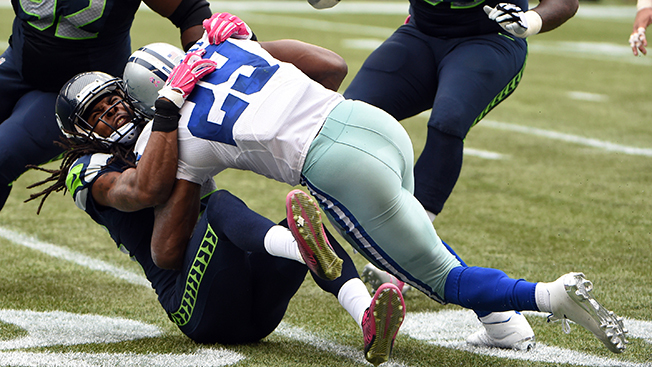 But the Cowboys bounced back, helped along by a strong 115-yard running performance from DeMarco Murray to win, 30-23. The tweets were whooping up the Boys’ victory with 1.16 million tweets reaching 7.5 million twitter accounts. NBC’s Giants-Eagles game finished second in Twitter TV sports category. The Eagles shut out the Giants 27-0 in an embarrassing defeat that had some Giants fans tweeting their disappointment. This is an embarrassing loss for #NYGiants on every level. Coughlin better have them ready for #Cowboys or his era is over with them. To make matters worse, the Giants lost the services of star wide receiver Victor Cruz to a knee injury that will probably sideline him the rest of the season. Fox also placed fifth and sixth with two Cardinals baseball games.